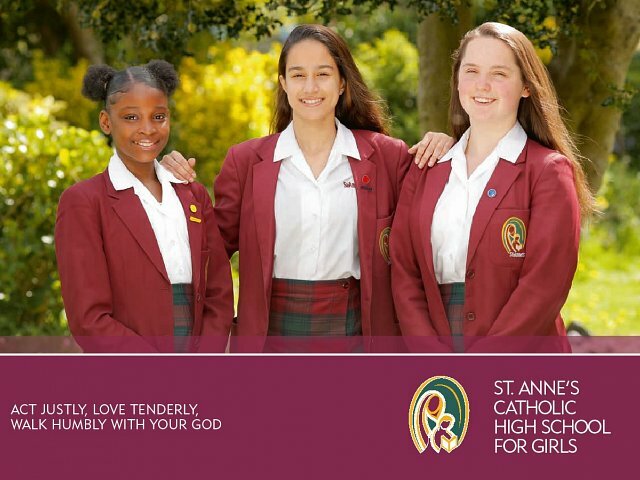 “Creating a success culture for all in a Catholic environment"
St. Anne’s is a Catholic girls’ comprehensive school in the Archdiocese of Westminster. It is a split-site school, with the Lower Site for Years 7 – 9 in Enfield Town, and the Upper site (Years 10, 11 and the 6th form) in Palmers Green. There are 1,100 students on roll (200 in the 6th form and increasing). 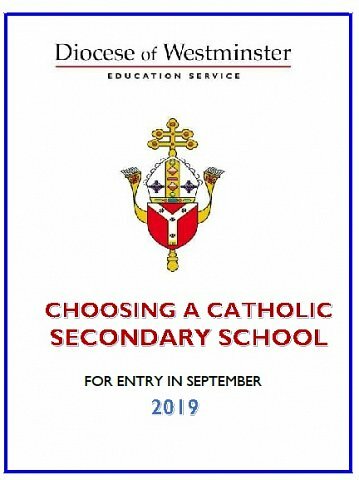 It is a designated 6 form entry school, founded in September 1994 from the amalgamation of the two former restricted age range schools, The Holy Family Convent School and St. Angela’s RC School. For our Sixth Form Prospectus and Admissions Information, please see our Sixth Form Centre here. All applicants must apply by using the London eAdmissions system. In addition, applicants should complete the St. Anne’s Supplementary Information Form (SIF) below. Our 2019-2020 Supplementary Information Form must be completed and returned to the school by Wednesday 31 October 2018. The Certificate of Catholic Practice, which your Priest must sign, is available from the Priest at the Parish where the family normally worships. It is also available from the Diocese of Westminster’s website at www.rcdow.org.uk/Education. Applicants from other Christian denominations and other Faiths may attach a letter confirming membership from their Minister or Religious Leader. You must also complete your Local Authority’s Common Application Form (E-Admissions) as well as the Supplementary Information Form, and return it to the council offices by the closing date. If you do not do this you will not be offered a place. The closing date for submitting appeal forms is Wednesday 24th April 2019. The Independent Admission Appeal Panel for St. Anne’s has, provisionally, been arranged for Wednesday 19th June 2019 (7:00pm for St. Anne’s Governing Body’s case), Thursday 20th June 2019 (individual cases) and Friday 21st June 2019 (if required).